Rick Lance Voice Acting News: Are You Podcasting Yet? It is the perfect answer for voiceover artists, and if you aren’t doing it yet, you might be missing out on a fantastic opportunity. Podcasting is something that many professionals expected to come and go. That, however, is not what happened. The trend stuck and there are many businesses that are profiting from their podcasting efforts right now. 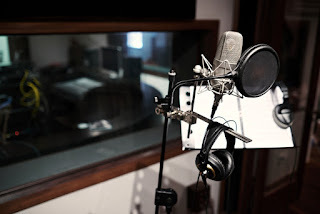 For voiceover talents, it is the perfect form of media. Just consider the advantages. Garner Useful Information for Your Business Believe it or not, it is not just the audience member who can learn something from your podcast. If you are wise enough to recruit interviewees who have been in the business longer than you have, you’ll likely learn a great deal too. Practice Your Voiceover Hosting a regular podcast is also a great way to ensure that you are continually honing your voice. While entertaining and informing others, you’ll also be practicing speed, enunciation, and pronunciation. Great exercise for the growing voiceover actor. Get Exposure If you want to be discovered by the voiceover casting directors, then you have to make yourself discoverable. A regularly airing podcast is a great way to improve your website SEO, to meet more people within the industry, and to make yourself stand out in the minds of potential employers. Create Content for Marketing Purposes As already mentioned, the podcast is also a form of content. When you create regular content (especially content of value) you have something to share with your online community. Post the audio file to your website, share it from there, and get others to comment on-, like-, and share it. You’re search engine ranking will begin to improve. Can You Do Voiceover Work Part-Time?